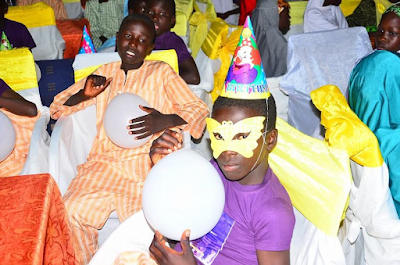 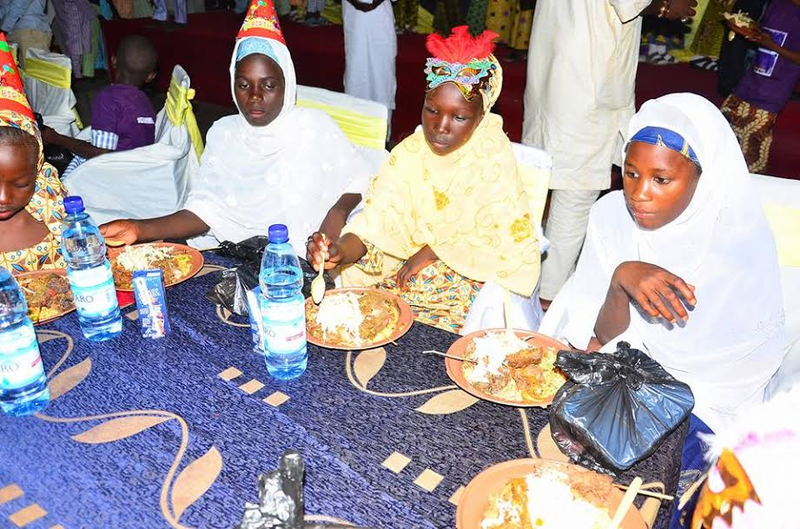 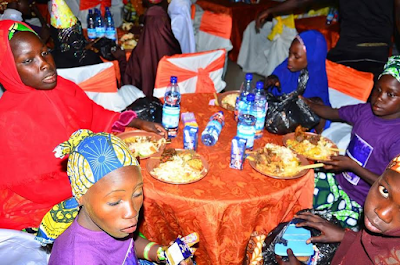 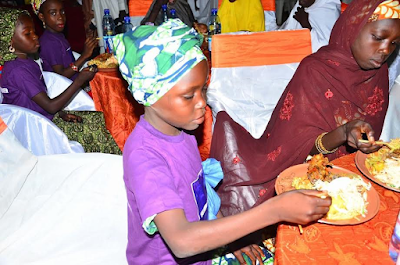 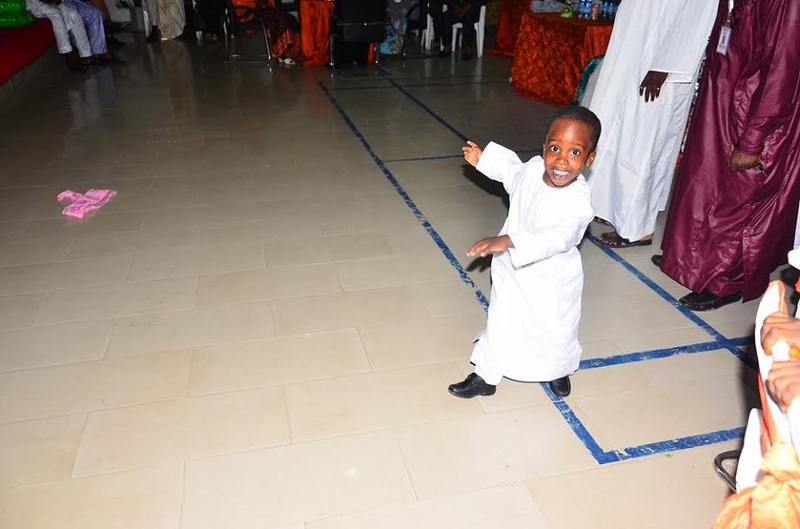 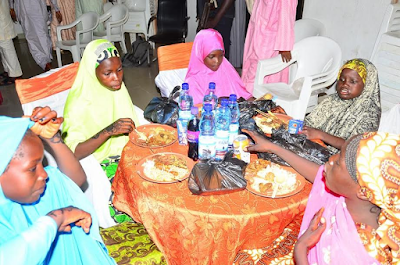 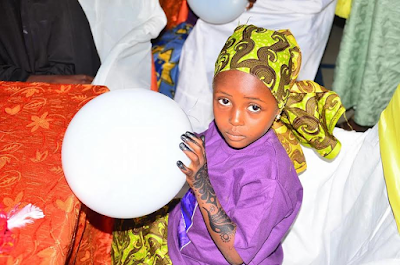 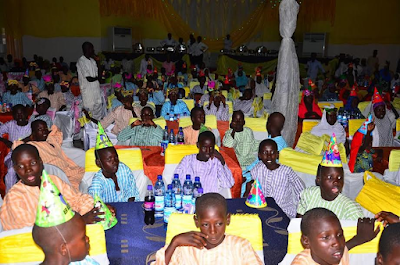 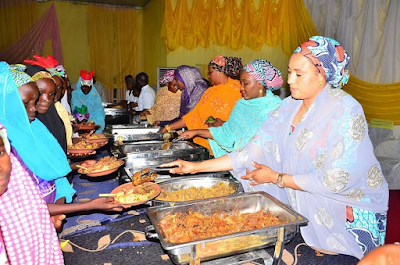 The wife of the Borno state Governor, Hajiya Nana Kashim Shettima has organised a Sallah get-together for 200 children who are selected from various IDP camps and orphanages in the state. 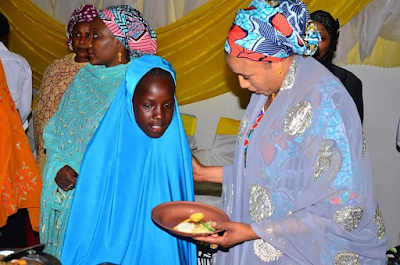 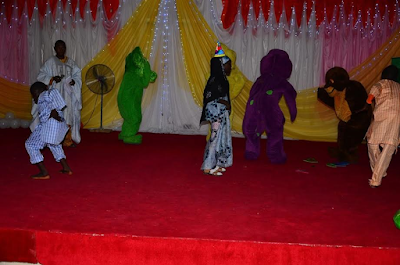 At the event which took place at the multi-purpose Hall of the Government House Maiduguri, Mrs Shettima charged the children to go to school and also to give due respect to their teachers and elders. She also urged them to be good Ambassadors of their families, communities and their state wherever they find themselves in the future. She took time to serve the children with different varieties of dishes prepared for them and presented them with various gift items.